1. Amtrak – Roundtrip ticket home for under $100 and I get to keep my sanity because I’m not driving alone on 95 in massive amounts of traffic. God bless you, Amtrak. 2. Cranberry log – The canned log of cranberry is my favorite dish at Thanksgiving. My mom buys one for me every year and we bring it to whichever family member is hosting. Everyone makes fun of it and says it looks gross and then without fail they all eat it. Layer turkey, cranberry log and gravy. Hello, heaven. 3. 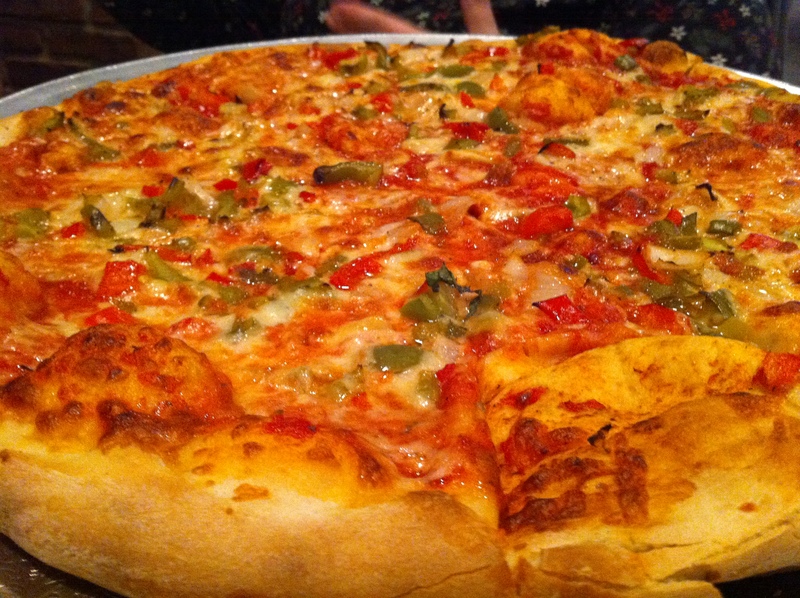 Pizza – There is just something about NJ pizza. And yes I have had lots of delicious pizza here in DC but nothing compares to an NJ slice. My perfect slice has green peppers and onions. To enjoy follow these steps: pick up, see the droop (the key to the perfect slice), fold and throw head back to chow down. Perfection. I consumed four slices on Saturday night and kind of wish I had some right now. 4. Family – Yes. Obvi. Duh. But I’ve been living in DC for 6 years now and while I love it, I do go through tough periods of homesickness. They come out of nowhere and hit me hard so when I get home and get to see my family for four days, it’s truly amazing. My parents, my sister, aunts, uncles, cousins, grandparents – so much family – all of them so wonderful in their own way and there are days when I do wish I could see them on a daily basis (or maybe just a little more regularly…). 5. 10 Year High School Reunions – If I couldn’t feel old enough lately (I know, I know I’m not old), my 10 year high school reunion was this past Friday. I was on the planning committee that consisted of me and my two guy friends and I have to say, we totally killed it. We had a great venue that was easy to get to, tons of great food, decorations, a slideshow and a rockin’ playlist. We ended up having a bigger than expected turnout of classmates and it was really great to see everyone (even if certain cliques did act exactly the same as they did in high school). 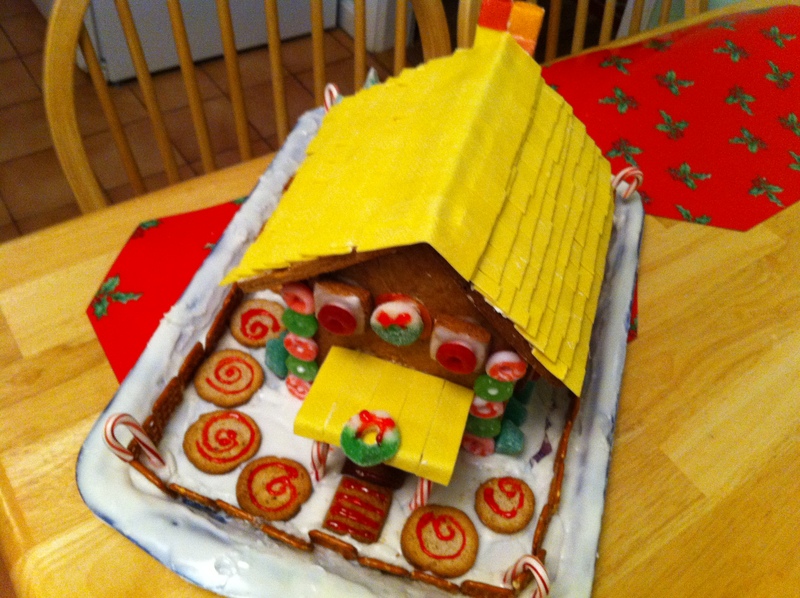 Ariel view of the Gingerbread House. 7. Friends – I will always be thankful for the diverse group of friends I have in my life. They range from people I met when I first moved to DC, colleagues from various jobs, college girlfriends, childhood friends and of course, high school friends. I’ve been really fortunate to have a very close-knit group of high school friends and seeing a bunch of them this past weekend reminded me how lucky I truly am to have all of them in my life. Man, that’s quite the list. I am one super lucky gal. 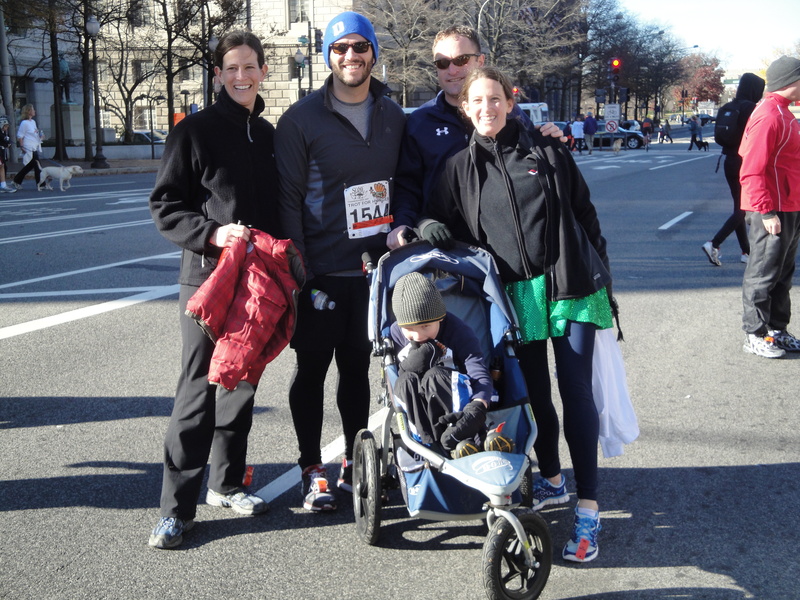 I ran in our second annual Turkey Trot for SOME on Thanksgiving morning in D.C. I love this race for many reasons, it’s for a great cause, it’s a great way to get some exercise before stuffing your face later and it’s so much fun to run with my family. 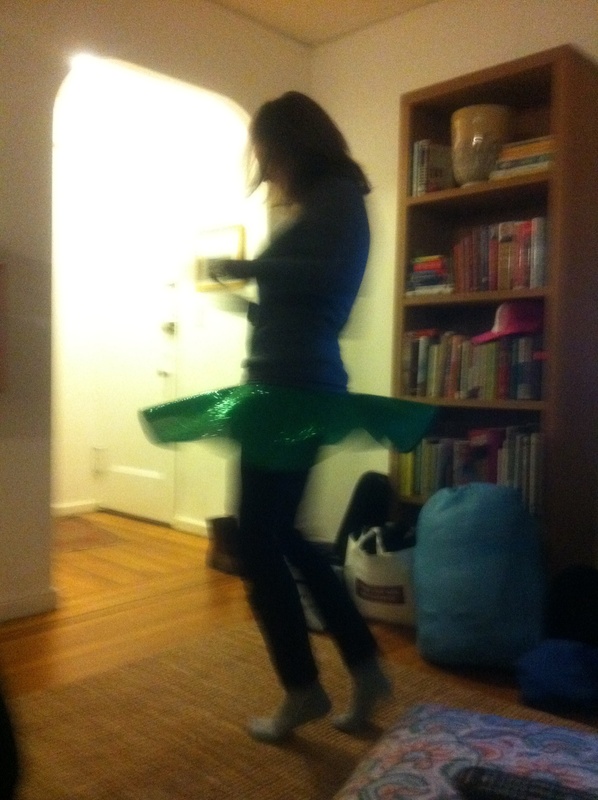 In addition, this year was the debut of my green sparkle skirt. Stephanie mentioned the company in a previous post and I have to agree, they are amazing. The skirt was delivered within two days and included an email following up to ask if I had any upcoming races. I totally appreciate the online small business community – where even a brief handwritten note is included in the package, thank YOU Sparkle Skirts! I will be wearing this skirt again this coming weekend during the Hot Chocolate race. I, however, will only be doing the 5k while Stephanie rocks the crap out of the 15k in her skirt. Not to worry, I will be there at the finish for the skirts to re-unite! I am trying to pick up my running game and have signed up for my very first half marathon in D.C. on March 17. I’ve only ever run a 10k, so this will be a new and exciting challenge for me! Back to Thanksgiving before I wrap up this post. The food is always the highlight of the day for everybody, right?! 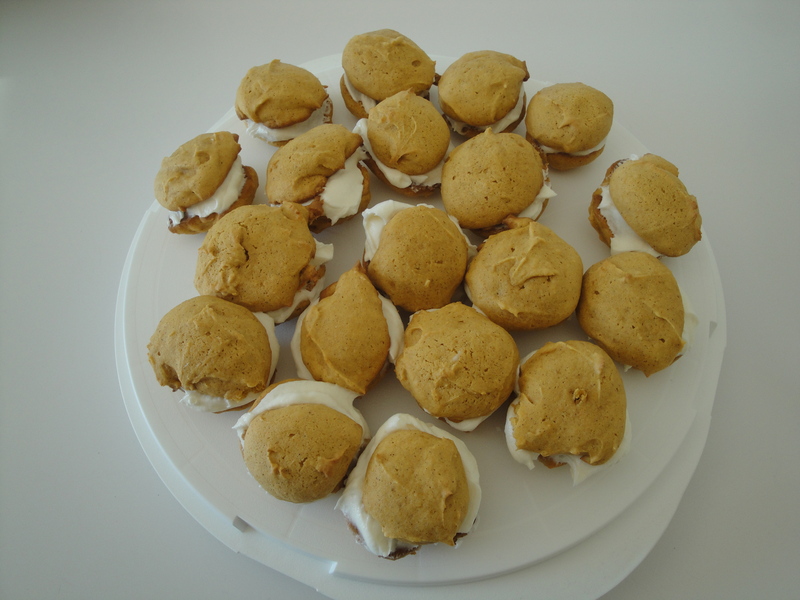 This year was no different for me and for that reason I decided to make mini pumpkin whoopie pies for dessert. You can’t really go wrong with pumpkin cookie and cream cheese filling – with plenty of butter to boot! Hope everybody had a wonderful Thanksgiving weekend!